Numerous studies have proven that investment in Human Capital shows significant return over an extended period, often exceeding five years. Chief Executive Officers in the top 500 global businesses are beginning to agree that the key differentiator and largest contributor to their ability to compete and impact shareholder value, is the quality of their Human Capital Practices and the investment in people itself. Modern Human Capital Practice is the enablement of appropriate business decision-making at all levels in the organisation in order to both maximise the impact people have and protect the investment made in them. In essence, and in reality, technology can only enable current business practices. If certain problems exist within core business practice these will get translated and be vastly amplified when implementing technology; influencing data and its usability. The Human Capital industry is currently busy with its own reinvention to meet the requirement set by business for strategic Human Capital Management. 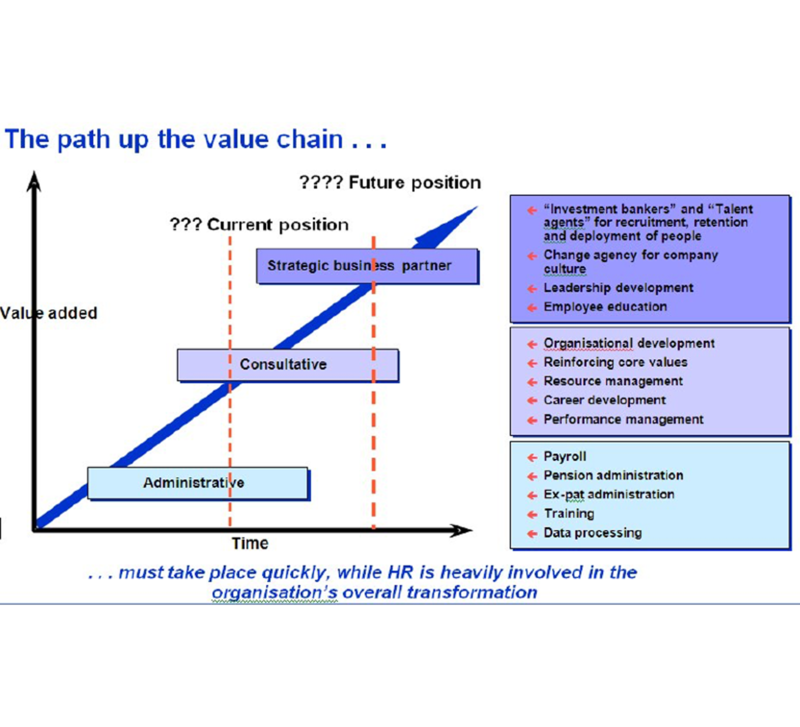 HR strives towards adding value to the chain which necessitates the development of clearly defined standards. Because Human Capital Practices are so integrated by nature, these standard, SIPP® (Standard Integrated People Practices), have been divided into three components namely: Core (foundational practice), Transactional (standards on the process) and Value-add (standards on the value-add practices). Although most businesses urgently require enabled value-add practices like talent management, succession planning, career paths and learning paths, the starting point of the enablement has to be the standards impacting the foundations of Human Capital. This is a bit like defining General Accepted Accounting Standards but for Human Capital management.